Madathattuvilai, a quaint little village in the Kanyakumari district of Tamil Nadu is engaged in a heart-warming pursuit. As many as 229 residents of Madathattuvilai have donated their eyes in last one decade—making the village a trailblazer among cities and towns across the country. This village is making records of becoming the highest body and eye donors in the state. When someone passes away in this village, the first thing that the family of the deceased does is to get in touch with the priest of the local church. Following this, the youth group of the church reaches out to the family and helps them with the process of eye donation. It even facilitates the speedy retrieval of the organ by a medical team from Tirunelveli. Interestingly, in the beginning, the villagers were not exactly keen on the idea. Most elders did not want to donate eyes as they feared that they would not be able to see God in their afterlife. In 2004, in an effort to help the villagers understand its importance, the youth group decided to work on raising awareness about the act. They were supported by the parish priests of St Sebastian Church, who would extensively talk about the importance of eye donation in their sermons. These sessions undoubtedly had a profound impact because three years later, in 2007, the first ever eye donation took place in the village. Later, in the same year, close to 1,500 individuals, mostly youngsters, enrolled for eye donation. The first donation was followed by eight more, and that was just the beginning. Today, every single house in Madathattuvilai has at least one enrolled donor. By not letting grief cloud their judgement, each resident of the village—from a 14-year-old in 2015 to a 97-year-old lady in 2017—is setting a remarkable example of compassion and bringing light into the lives of the visually impaired. 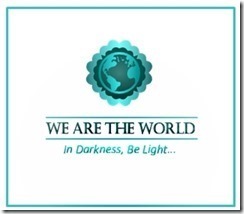 This post is part of the We Are the World Blogfest, a monthly blogging event created by Damyanti Biswas and Belinda Witzenhausen to showcase stories of hope and light. This month is the 22nd #WATWB and I’m helping out as a co-host, along with extraordinary bloggers : Sylvia McGrath , Belinda WitzenHausen, Dan Antion, Damyanti Biswas —please hop over to check out their WATWB posts as well as from other WATWB participants for a dose of feel-good to last you a whole month. You’ll be happy you did! Amazing post! Eye disease runs in my family and this hits home. Organ donation is often misunderstood. It is so fantastic that people are being educated. Thank you so much for sharing this story, for co-hosting and for being an integral part of #WATWB. We’ve been going strong for two years thanks to you and the rest of our #WATWB family! Happy Anniversary! Just loved this story. I have been a part of operations where the donated parts of the eye are transplanted and i can tell you it is so tough to find donors. In fact with so many of Indians suffering from blindness , the gift of sight is a selfless gift .Kudos to the blessed people of Madathattuvilai and to you for spreading the word ! What an inspiring story – truly remarkable! There can be such inherent resistance to organ donation of any kind, and so to find such an astonishing rate speaks volumes to the commitment, education, and compassion of all those villagers. Thanks for sharing, and for co-hosting #WATWB. This is something really interesting I came across lately. My grandfather was the first person in my hometown to donate his eyes around 30 years back and I support organ donation personally. I am a registered organ donor and feel everyone should do it. This is an incredible post. If such virtues are carried forward, the world would be a better place. Organ donation is very important, n all of us must do it. Awesome. It’s good to see people coming forward for this noble cause. My parents have registered themselves for organ donation. The village of Madathattuvilai should be proud of its willingness to be eye donors and help those who are sight-impaired or blind. Knowledge is power and in this case, it eventually made a difference to the villagers, who embraced the initiative. Thanks for sharing this story of sight and light! This is so inspiring, I couldn’t believe that every person has donated the gift of sight . It is be a story every Indian should read . How inspiring are these people. I had no idea about this village. Thanks for sharing such an incredible post. Wow, amazing article it’s very informative. Thanks for sharing! What an inspirational story, Shilpa, that an entire village willingly gives the gift of sight. Thanks for sharing this; it made my day! Amazing, wonderful, extraordinary – donating sight to others. And, the commitment of the priests at St. Sebastian Church and the youth leaders in spreading information and the safety of this procedure .. Wonderful post Shilpa thank you. Organ donation is such a great way of handing on goodness. I love the way the whole community is involved in this Tamil Nadu initiative. Thanks for your tireless work for our #WATWB, Shilpa. I’m so glad we got you aboard. I hope we all can try to learn and do similar ! How nice it would be to help those who can’t see! How inspiring are these people in the village of Madathattuvilai . I had no idea about this village. Thank you so much for sharing such an incredible post. How inspiring are these people in the village of Madathattuvilai, I had no idea about this village. Thank you Shilpa, so much for sharing such an incredible post.